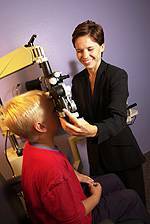 Your family doctor or pediatrician likely will be the first medical professional to examine your child’s eyes. If eye problems are suspected during routine physical examinations, a referral might be made to an ophthalmologist or optometrist for further evaluation. Eye doctors in Laconia, NH have specific equipment and training to help them detect and diagnose potential vision problems.